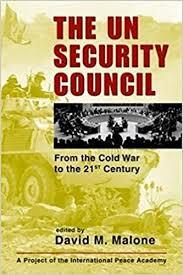 UN Security Council research papers look at the role of the Security Council in the United Nations. The Security Council is a key component of the United Nations international organization. Examine the role of the Security Council in world affairs. Briefly discuss the structure, its responsibility to maintain peace and security in the world, and its coercive and conciliatory powers. Demonstrate that the Security Council is an international arbitrator for nations with conflicting interests. Research reveals the UN Security Council's functions are to investigate, negotiate and settle disputes between nations and to maintain the peace and security of the international community. However, this role is often politicized due to the diverse nature of the Council's member nations, or diminished due to the superior economic and military power of the United States. Despite these problems, the Security Council's role as the maintainer of international peace is important and relevant to the entire world community. The Security Council was developed as a result of the original 1945 Charter of the United Nations. The Charter also made a clear distinction between the Security Council and the General Assembly. While the General Assembly is composed of members from every recognized nation, the Security Council has eleven original members, including five that were permanent – China, France, the soviet Union, the United Kingdom, and the United States. A 1965 amendment increased the Council's number to fifteen, with non-permanent members selected from three African, two Asian, one Eastern European, two Latin American, and two from Western European or other nations. Cyber Security - Cyber Security research papers discuss the continuing effort to protect electronic data and computer systems from unwanted intrusions. Pentagon Papers - Pentagon Papers research papers reveal the government deceived the American public during the Vietnam War. Warsaw Pact - The Soviet Union created The Warsaw Pact in 1955 as a direct response to the American-led military alliance of NATO. Korean War - Korean War research papers examine the conflict between South Korea and North Korea from 1950 to 1953. Palestine Before WWI - Palestine Before WWI was held by the Ottoman regime and while the elements of interaction between the Palestinians and the Ottomans were tense, this period served to develop for the Palestinians a number of survival strategies that were built around the Ottoman system of political and economic power. European Financial Crisis - The European Financial Crisis research papers discuss the different challenges that Europe is faced with when dealing with their economic issues presently. Women's Rights in United Nations Research Papers look at the goals set out by various United Nations decision making bodies. Universal Declaration of Human Rights research papers overview the United Nations adoption of the laws that protect basic human freedoms. The International Labour Organization - The International Labour Organization research papers discuss the United Nations agency that works with member nations in order to promote labor standards and decent work for all. World Health Organization research papers overview the agency of the United Nations that specializes in international public health. AIDS in Africa - AIDS in Africa Research Papers illustrate that from the hallowed halls of the Central Intelligence Agency to the doors of the United Nations, the AIDS epidemic in Africa is receiving noteworthy attention within the United States and the entire world. Right to Work - Right to Work research papers examine one of the basic human freedoms outlined by the United Nations’ Universal Declaration of Human Rights, first issued in 1948. Bhutanese Refugees research papers examine the camps of refugees, set up by the United Nations, and discuss the efforts to resettle the refugees. Yalta Conference - Yalta Conference custom research papers discuss when the “Big Three” leaders brought an agenda to the Yalta Conference. Saddam Husseins Leadership - Saddam Hussein's leadership has been questioned in many research papers. Labor Market - Labor Market research papers look into the labor market that is defined as the local or national market in which workers find paying work, employers find workers, and wages are determined. Sports Boycott of South Africa was issued due to the discriminatory manner that the athletes were being chosen. Breastfeeding Culture - Breast feeding and Culture research papers differentiate the key distinctions between breast feeding practices of Australian and Iranian women. NAFTA - North American Free Trade Agreement is the most important and expansive trade agreement ever created and is the largest free trade zone in the world. Oppression - Oppression term papers take a look into the cruel or unjust application of power over another person or group. Saddam Hussein - Saddam Hussein research paper on Saddam Hussein and the war in Iraq. National Security research papers discuss the practices employed by a nation- state to ensure its survival. Henry Kissinger - Henry Kissinger research papers look at the American diplomat who served as National Security Advisor and Secretary of State under President Richard Nixon. Proprietary Versus Contract Security - Proprietary Versus Contract Security Research Papers discuss the differences between two contract security services. Bioterrorism discuss national security in relation to combating terrorism. The Department of Homeland Security - Department of Homeland Security research papers discuss the establishment of Homeland Security in 2002, and examine the agencies that make up the DHS. Border Protection - Border Protection research papers examine the agency responsible for securing United States Borders. Paper Masters writes custom research papers on UN Security Council and look at the role of the Security Council in the United Nations.